Thank-you. Thanks. Merci. Gracias. 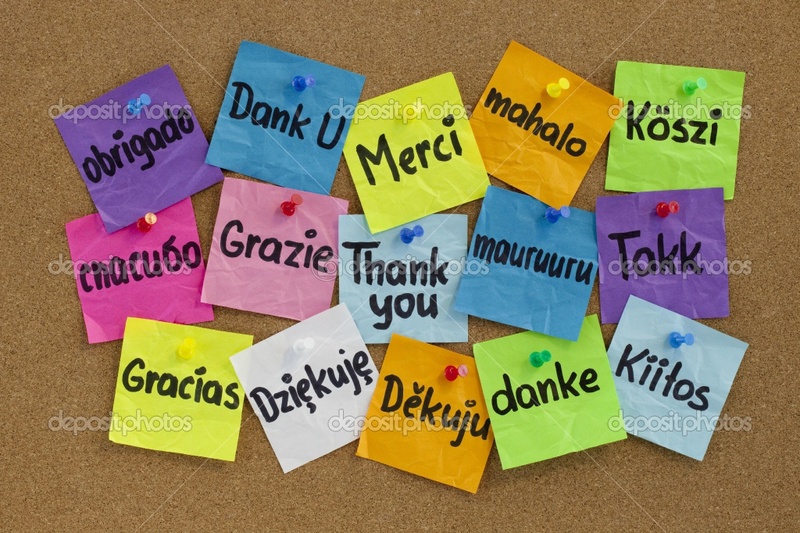 Danke… so many ways to say thank you. So much of life is really determined by our attitude. Do we complain or are we grateful? Do we pay attention to the beauty that surrounds us, the sunrise and sunset, the flowers, the ocean, all of God’s creation. Do we say thanks to our families and friends? Do we pay attention? This is just the beginning, the list goes on. You may find that when you write it down, your blessings list will overflow. It is our choice. We can choose to be grateful for all these things. We can choose to tell those we love how much we appreciate them. We can choose to be grateful in all circumstances… or not. THANK YOU! It is my joy to share this song with you. QUESTION: What things are on your ‘Grateful’ list? Do you find it helpful to write them down each day?